Crucifixion St. John's Gospel Kertsopoulos Gregoriadou guit. 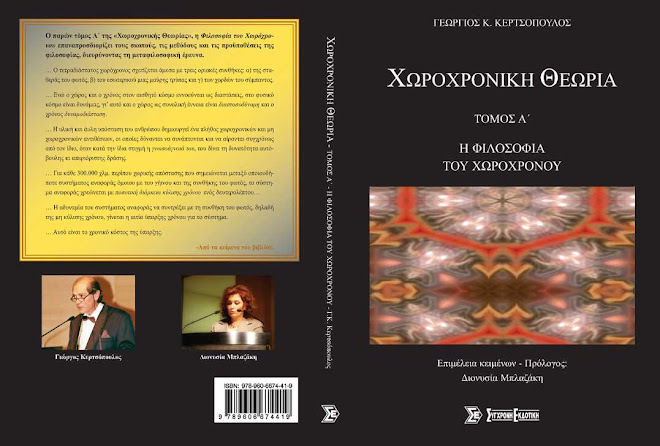 Georgios Kertsopoulos is a Greek-Canadian author, researcher, inventor, guitar soloist, luthier and professor of the guitar. In 1983, he presented his "Mathematic model of the guitar" at the MUSIKMESSE in Frankfurt, a work which received international acclaim and was published by specialist musical and acoustics magazines in Greek by "Sound and Hi-Fi" and in German and English by DAS MUSIKINSTRUMENT in Germany under the title: "The Physics of the Guitar".His research over the years has led him to areas of physics, mathematics, space-time experimentation procedures, gravity-inertia measuring apparatus inventions, etc.In 2009, his book "Spacetime Theory-The Philosophy of Spacetime" was published in the Greek language. He is the inventor of the International publication of the invention: WO2013136097 "Magnetic System of Three Interactions" and also of the Greek patent of the same bearing the No. 1008053.